L.A. Noire was a game I enjoyed immensely back in 2011, but my memory faded and the details of Cole Phelps’s journey slipped from my mind. One day I had this dilemma that all gamers can relate too. I hit a dry spell. I was tired of all of my games and the solution: dust off the PS3. I had to use some detective skills myself, for there were many games that slipped my memory. I finally picked L.A. Noire and it was the right decision. This 2011 game stood the test of time and I gained a much deeper appreciation for Team Bondi’s take on the neo-noir detective era. 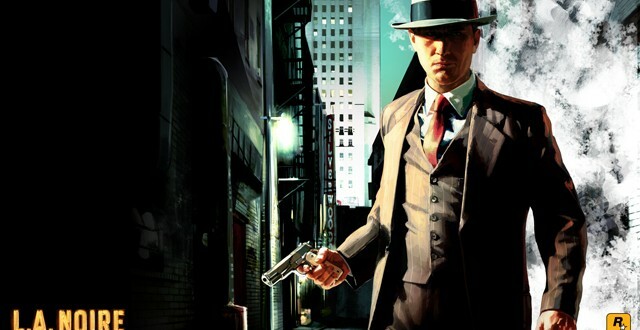 L.A. Noire is a violent crime thriller set in 1940’s Los Angeles where you play as Cole Phelps, a detective trying to keep the law in a system of corruption and secrets. Cole starts as a traffic cop and works his way through homicide, vice, and arson. L.A. Noire is not a simple detective story, for it makes you question the morality of the the most just man in the LAPD, Cole Phelps. At the beginning, it looked like L.A. Noire was going to be the story of how a morally good man is going to clean up the corrupt system. It goes so much deeper than that, because Cole has demons of his own. These demons start to show themselves throughout the game as a deeper plot is revealed that goes all the way back to Cole’s days in War World 2. I’m not going to say much to avoid spoilers, but I realized that one of L.A. Noire’s biggest themes is PTSD and how veterans adjust to life outside of the war. Team Bondi crafted an interesting narrative that, when taking a closer look, has some pretty heavy themes. Hopefully I’m not scaring you away from the game, it,s not all about this serious, deep stuff. In fact L.A. Noire can be a blast, and a surprisingly hilarious game to play. The game is not action heavy, but it makes you think. Basically, you have several cases to solve within each department. Each one having their own story, with elements that drive you towards the end game. Each case has you driving to locations to find clues, then using those clues to interrogate suspects. There are many occasions where you have to make a decision between two suspects. Your success relies on the clues and your ability to piece everything together. If you make the wrong choice, the game still goes on and you have to live with your decision. 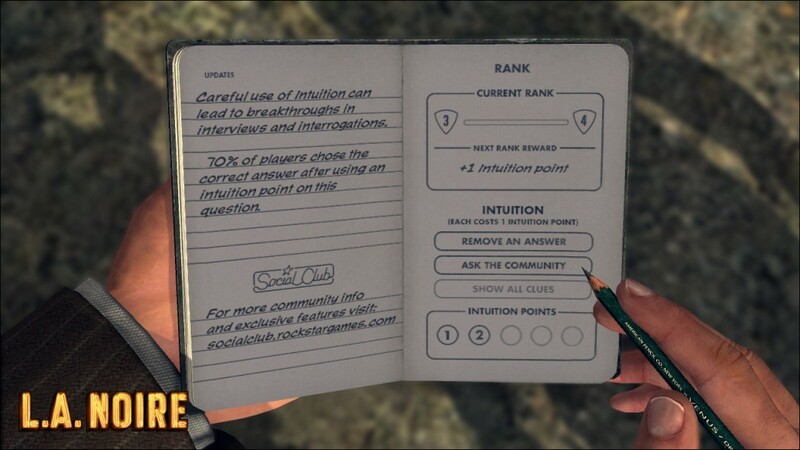 The interrogations have you asking suspects a variety of questions, then choosing between truth, doubt, or lie. If you choose lie, be prepared to back it up with proof. L.A. Noire uses facial animations that even surpass some of the current games on the market. The only problem is that the expressions can be so dramatic that it’s laughable. At least this makes some of your decisions easier since they can help reveal the truth. Just take a look at this video to see what I mean. Other ways that L.A. Noire can be hilarious is Cole Phelps habit of admiring random things at crime scenes. Hey look a bloody knife, lets go stare at this empty beer bottle that ,clearly, has nothing to do with the case! And don’t even get me started with how Cole likes to play with dead bodies. Gross Cole! This isn’t due to poor game design, just the gamer’s passion for messing around and making Cole look like a stupid detective. The one thing that does bother me is how they contaminate the crime scene. The way they walk through the blood and rummage through the evidence, without a care or a warrant for that matter, distracts you from what is ,otherwise, an accurate portrayal of detective work. 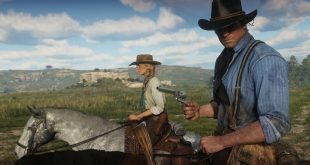 The game offers more then just looking at things and interrogating people though. 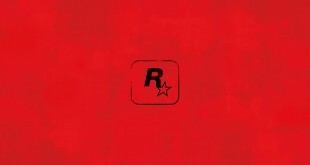 Often times cases will involve fist-fights,shootouts, and chase scenes. The fist-fights use a simple dodge and hit mechanic and are a bit of a chore to play through. The shootouts offer a change of pace and are always fun if not a little clumsily executed. This is mostly due to the awkward cover system. Lastly the chase scenes can either happen on foot or by car. Both are common happenings in video games, but they are still exhilarating to play through. Every case has these repeated gameplay elements, but the ever-changing circumstances that provoke them avoids this sense of repetitiveness. The way each of the gameplay components are evenly spread apart also remedies this. Plus there are several occasions where creative circumstances help to break apart the classic gameplay formula. “Cole, get closure so I can shoot out the tire!” I heard this way to many times! All of this takes place in a exquisite recreation of Los Angeles. The graphics are still good by today’s standards, and it successfully takes you back to the 1940’s. The music also immerses you in this world. The people that make up the city seem real and all react differently to your actions. L.A. Noire lets you free roam about this beautifully realized city and there are 40 side quests to complete as well as secret cars to find. That being said there isn’t really much to the free roam. 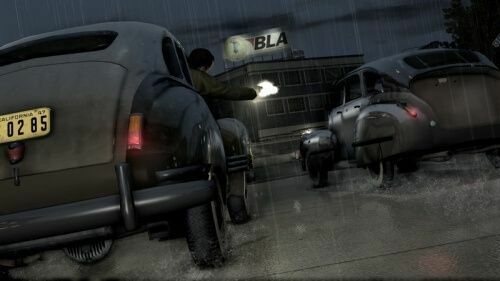 It’s different in Grand Theft Auto because you have the freedom to create mayhem, but in L.A. Noire your supposed to preserve the law so there isn’t that much fun to be had. Not to say you can’t have fun in L.A. Noire. One of the best parts of the game is acting in ways detectives shouldn’t act. One of my favorite things to do is leave my partner behind then watch him chase after the car. It’s also fun to drive on the sidewalk, running over anyone that’s stupid enough to get in my way. An easy way to get rid of those civilians trying to get a peek at the crime scene is just to run them over with your car. It’s OK, the other detectives won’t care. This is all stuff that is normal for other games, but the idea of doing it as a cop is hilarious. L.A. Noire offers a compelling story that makes you feel like a real detective. The gameplay is fun and it requires you to use your brain. A welcoming sight when mindless shooters are taking over. Some of the gameplay is clunky and a few issues fracture the immersion of the world. Taking that into account, the narrative and deep investigation gameplay still makes L.A. Noire a pretty solid experience overall. 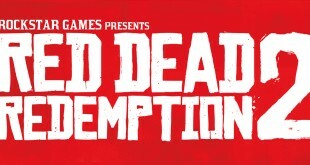 Red Dead Redemption 2 Announced!